By Mel Stott, contributor for DPAA. One of the Digital Place Based Advertising Association’s (DPAA) newest members is AdMobilize, which joined the association this fall. AdMobilize provides the digital out-of-home and retail industries with a turnkey and scalable software and hardware platform that includes audience measurement; facial detection and recognition; vehicle detection and recognition; gesture recognition; people counting; demographic analysis including age, gender, emotion; dwell time, and more. Rodolfo Saccoman, CEO & Co-Founder of the company, told us more in a recent interview. Tell us a bit about what AdMobilize does. 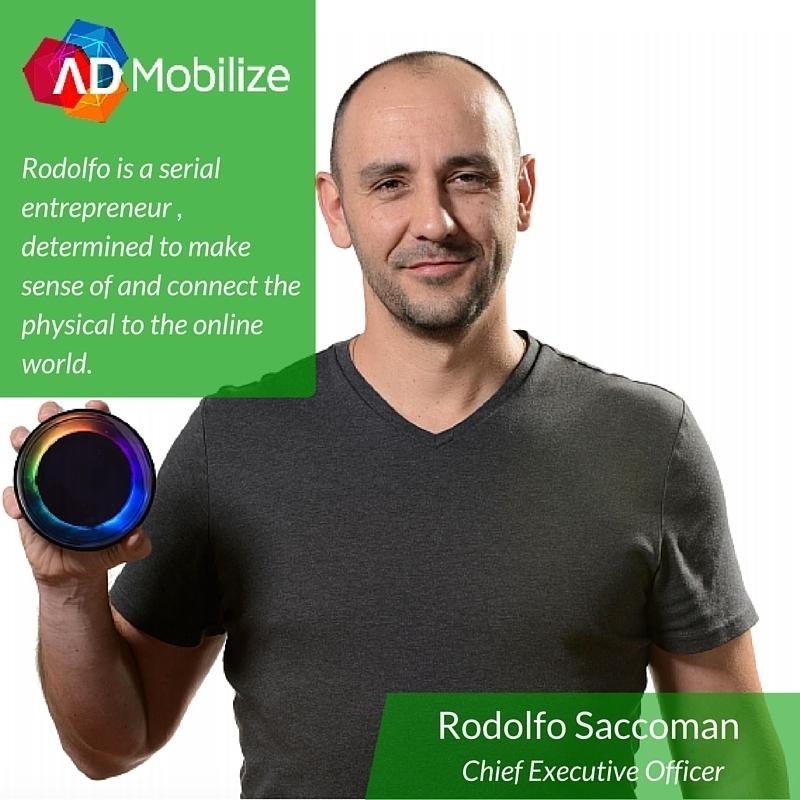 AdMobilize is a machine intelligence company making sense of the physical world. The company’s mission is to connect the physical world to the online grid by utilizing pioneering computer vision and artificial intelligence technology. We were born in 2012 to solve this problem for the OOH and DOOH industries. Over the past 11 months we have seen first-hand a shift in the industry, and to our surprise, our 2016 growth has been about 2,500% over last year. Based on our internal forecasting methodology, our models suggest 2017 will be the year the entire industry will awaken to the power of machine intelligence. In essence, AdMobilize makes any asset instantly smart, including static inventory. Our analytics platform and infrastructure is holistic, thus it encapsulates people, crowds, and vehicles. We can use your existing cameras and players or our patented “plug & measure” solutions, including the AdBeacon Computer Vision Camera optimized for street-level assets. Complete installation of the AdBeacon Camera takes less than a minute to set-up and the camera takes 10 anonymous pictures per second; all while running and processing our proprietary machine-learning algorithms in real-time to an intuitive dashboard.